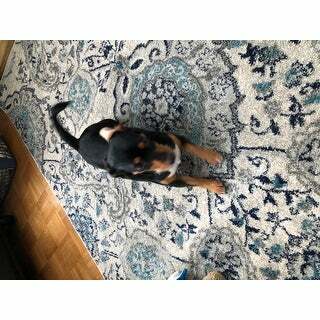 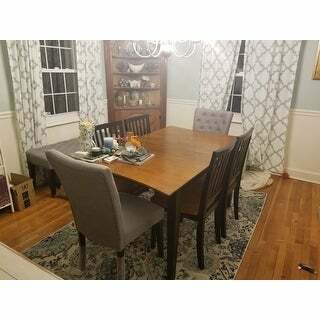 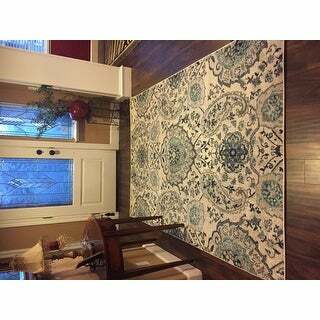 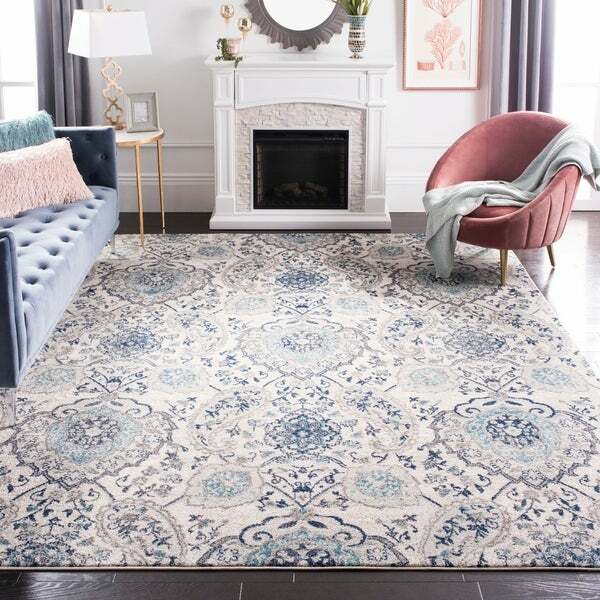 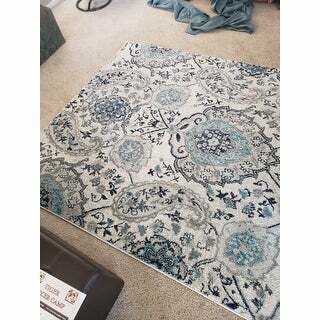 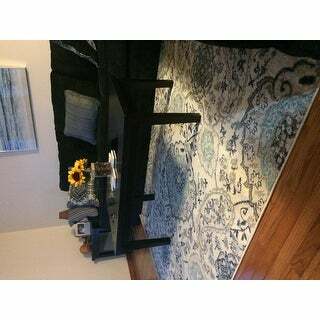 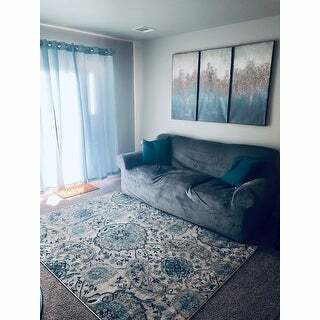 This area rug is of good quality and price. 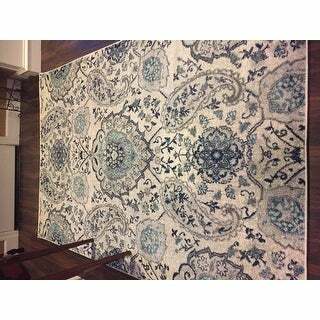 It will add color to any room and has a charming design. 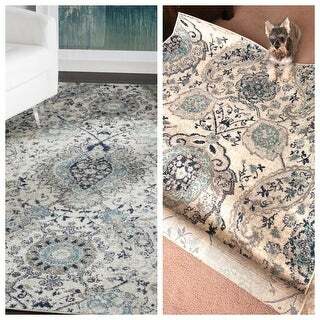 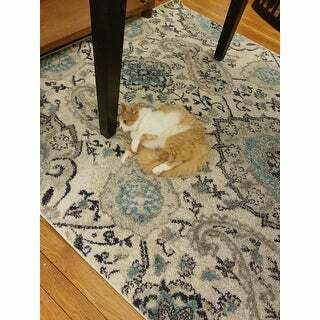 This rug is a classic. 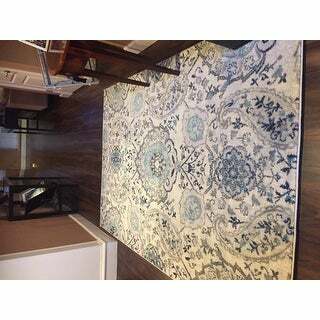 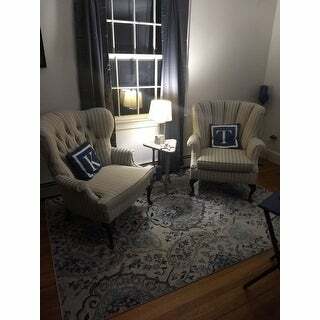 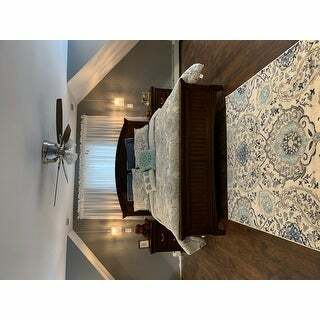 The blues on this subtle silver rug really pop and add a classic look to the room with white trim on it. 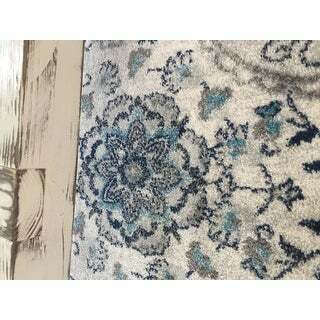 The pattern is classic and can be paired with any style of furniture.